Home » Who We Are » Meet the Team » Heather D.
Heather is the marketing manager responsible for developing targeted strategies including content marketing, social media management, traditional marketing, networking, and brand management. Heather works closely with the sales and production departments to develop strategies for successful client communications, and process improvements. She is also a member of the Melton leadership team. She graduated from the University of Colorado at Boulder with a B.S. in Business Administration with an emphasis in Marketing and Management. Prior to joining the Melton team, she was the Marketing and Sales Manager for UniversityParent, and an Executive Group Leader for Target. 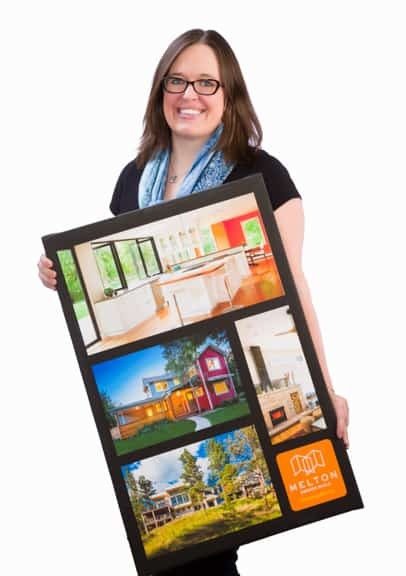 Heather loves the science and art of marketing and is excited to work with the talented Melton team. In her free off, Heather enjoys traveling, reading, spending time with friends and family, and most of all, exploring everything that Colorado has to offer with her husband, Trevor, and their son, Liam.